This article will show you how to create a custom report to retrieve our Hotspot - External event. With this report, you can retrieve data on external hotspots across all newer versions on all platforms. The Hotspot - External event is a custom event used to locate information on the number of impressions and clicks on clickable ads in the applications. The event is triggered every time a user either sees or clicks an external hotspot in the publication. 6. Now you should be able to see the data from the Hotspot - External Event. The Event Action describes the number of impressions and clicks. If you change the Event Action to Event Label, you will be able to see the individual external URL's used in each of the external hotspots. To see even more data, click the ‘Show rows’ drop-down menu and select your desired number of rows. If you select 100 rows, you will be able to see data for the 100 most popular external hotspots in your publication for the selected date range. 7. 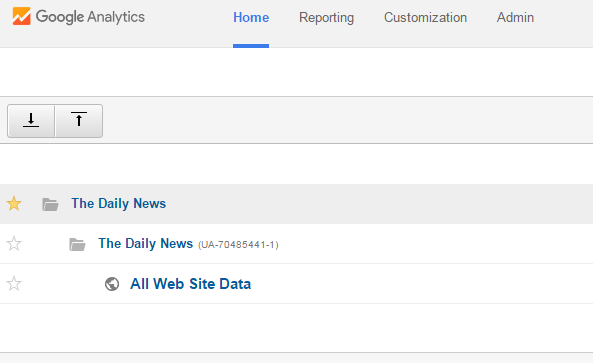 To get the data for the specific date range you want to track, go to the top right corner of Google Analytics and choose the desired date range. When the custom report is made, it is saved to your customization tab and you can use the same one to get data for a new date range, there is no need to make a new custom report the next time you want data. If you would like more information or guidance, feel free to contact Customer Care on support@visiolink.com who will forward it to our Business Consulting department.